Based on the true life story of best-selling author Dr. Wayne W. Dyer, My Greatest Teacher is a compelling drama that explores the transformational power of forgiveness. Dr. Ryan Kilgore is a college professor struggling to take his career to his desired level of success, while battling the very demons that are keeping him from achieving it. Kilgore is tormented by the memories of his father's abandonment, yet his wife and child are the one who pay the price. Upon losing his grandmother, Kilgore desperately seeks the closure that he needed so long ago as he puts his future in jeopardy for a journey into the past. Through a series of mysterious and serendipitous events, a path opens that leads Kilgore to his father-and to making the choice to rebuild everything he has destroyed as a result of what had been destroyed him. 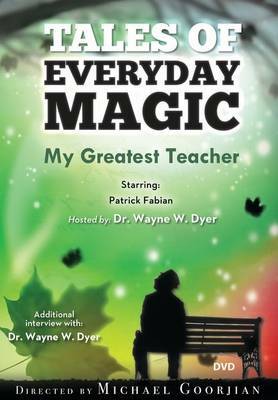 Bonus material: Includes an additional hour of footage featuring Dr. Wayne W. Dyer!